Here’s KT right after she picked up her cap and gown. 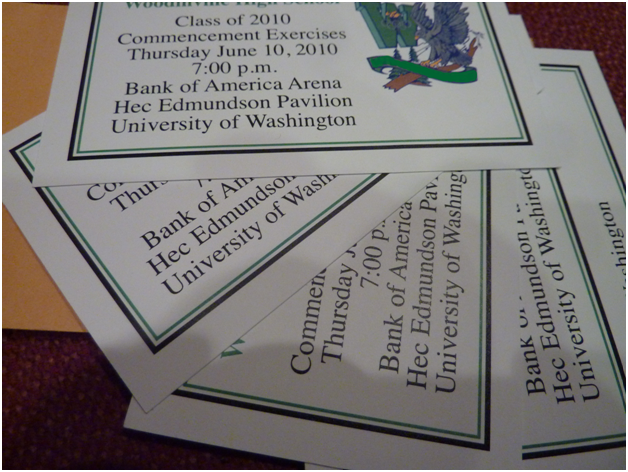 We also picked up the tickets to see her actual graduation, held at the UW next Thursday! 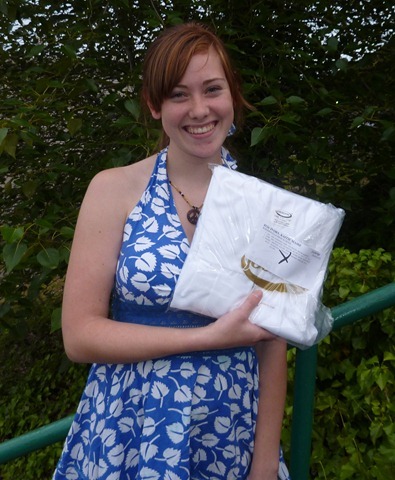 Ack…my baby’s growing up and ready to head off to college! This entry was posted in College, Family, KT and tagged growin up, high school graduation, Senior Award Ceremony. Bookmark the permalink. lol. Sometimes the brain needs extra time to process things. Staring into space tends to help. I can remember the day she started preschool at CCP and her first day of kindergarten in her little blue uniform. Congratulations on a beautiful and gifted young lady headed to a great college. Yeah Mama! Oh my…how could I have forgotten about that? I need to find those pics and scan them! Milestones! She looks so happy! 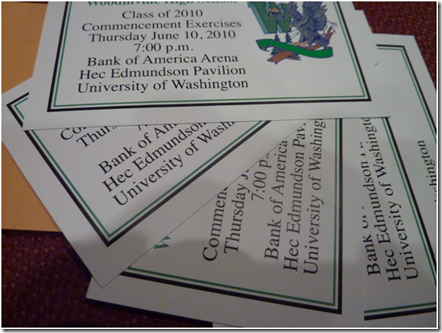 Wait until you get to sit through a college graduation ceremony. and hopefully it won’t make you a nervous wreak if I mention that KT has grown into a fine young woman. I imagine if I ever become a father I’ll be investing in a quality double barrel. She’s a doll. Congratulations! I’ve sat through four high school graduations … as to college grads, three down, one to go … your tailbone gets more numb every time! But it’s always a wonderful moment. …… I just can’t imagine! In two years I’ll be there .. augh! Time goes so fast! She looks beautiful and happy – you must be proud!